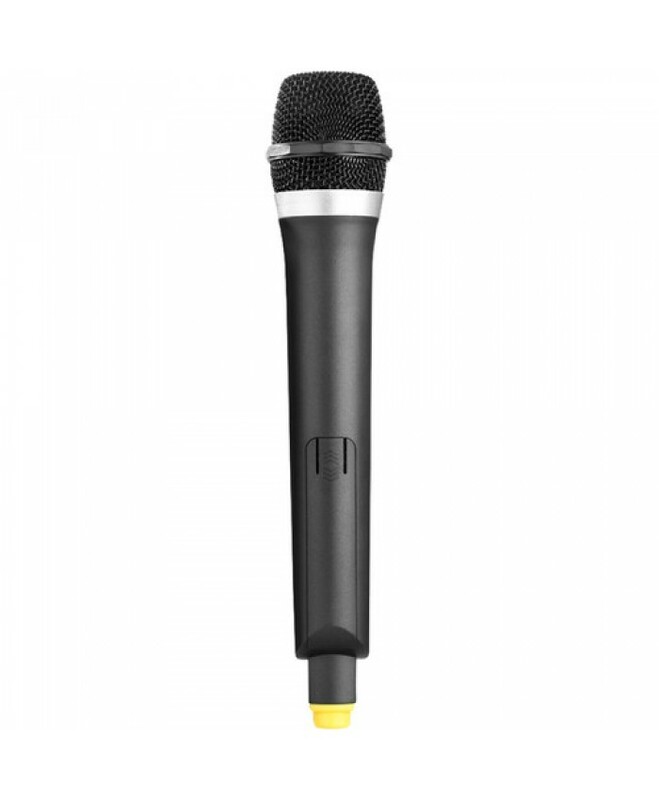 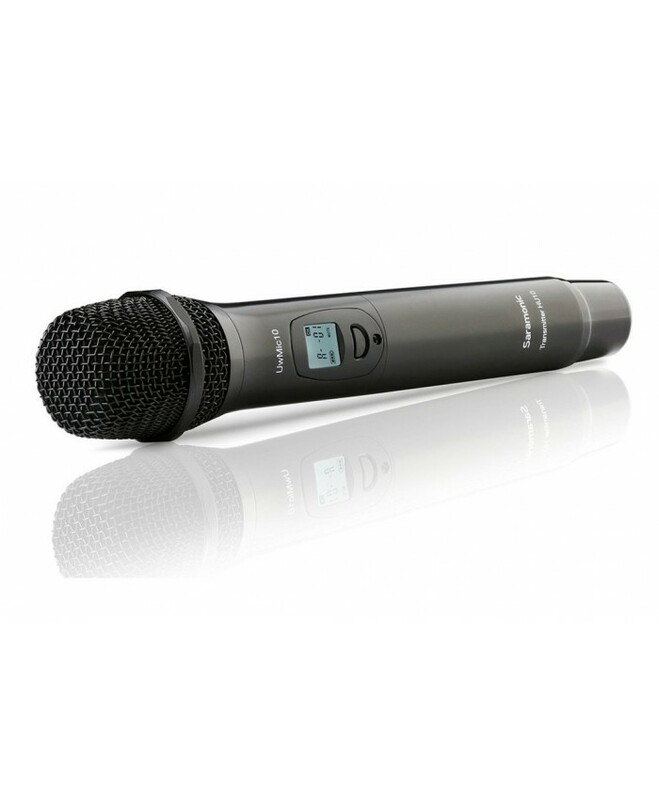 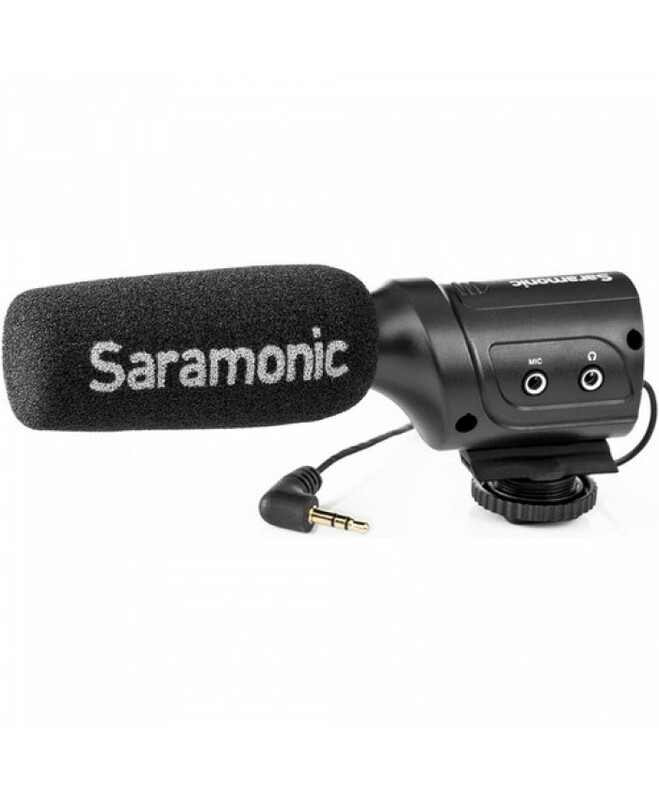 Includes (removable) SR-NV5 Shotgun Microphone with integrated 2-Channel XLR Audio Mixer	Dua.. 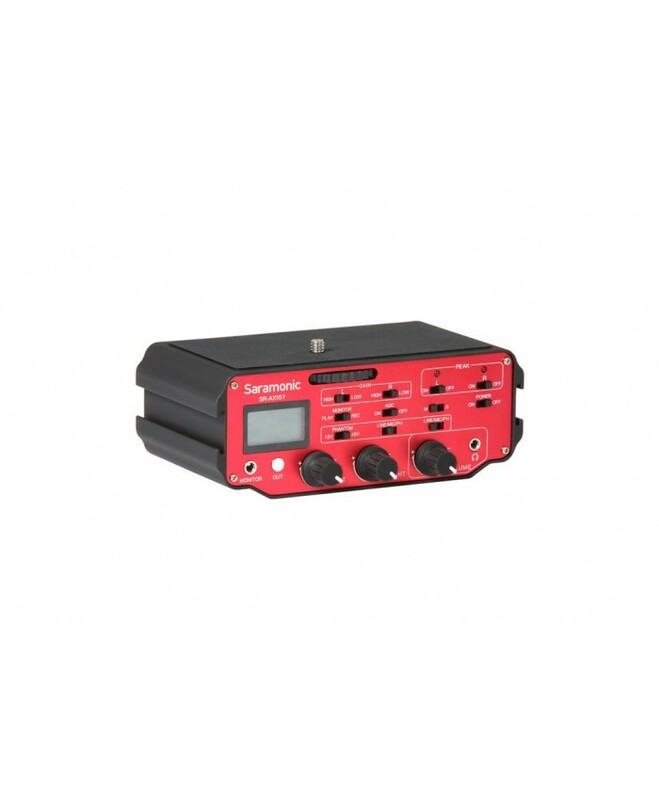 Frequency Response: 20 Hz to 20 Khz (+/-0.5 dB) Signal to Noise Ratio: 82 dB @ 1 kHz, -3..
Characteristics 96 channels A and B groups ..
Universal TRS/TRRS Combo Connector for Smartphones, DSLR Cameras, Camcorders & Recorder	Omni.. 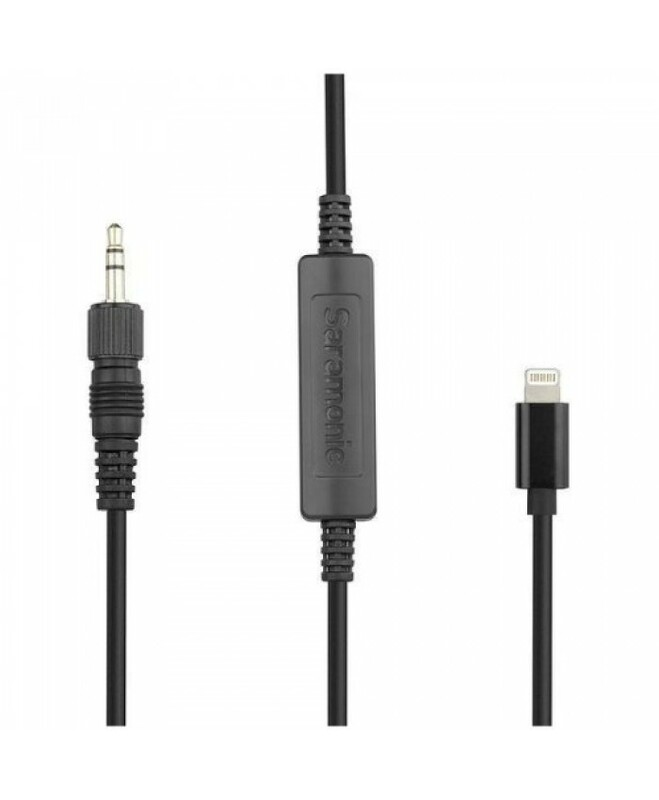 Audio Output Connector: Apple MFI Certified Lightning Connector .. 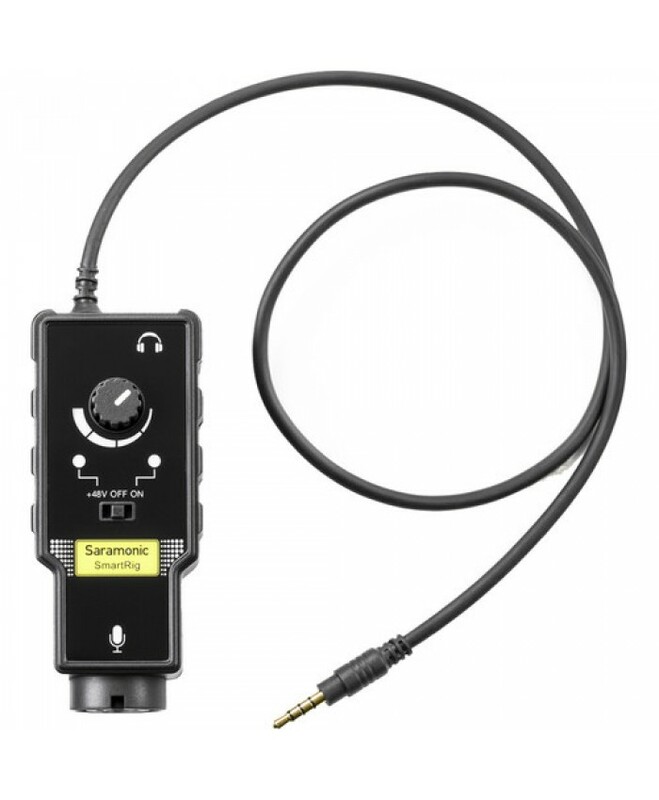 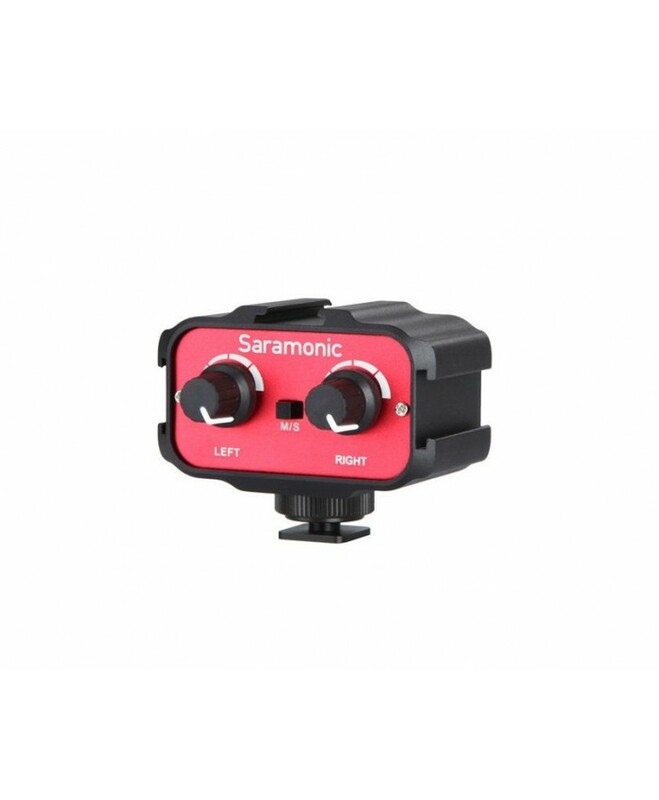 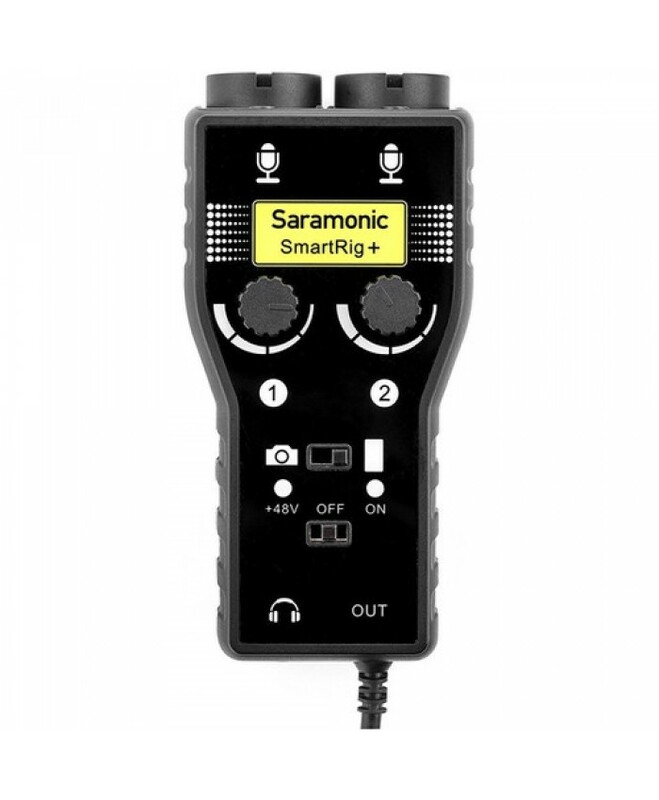 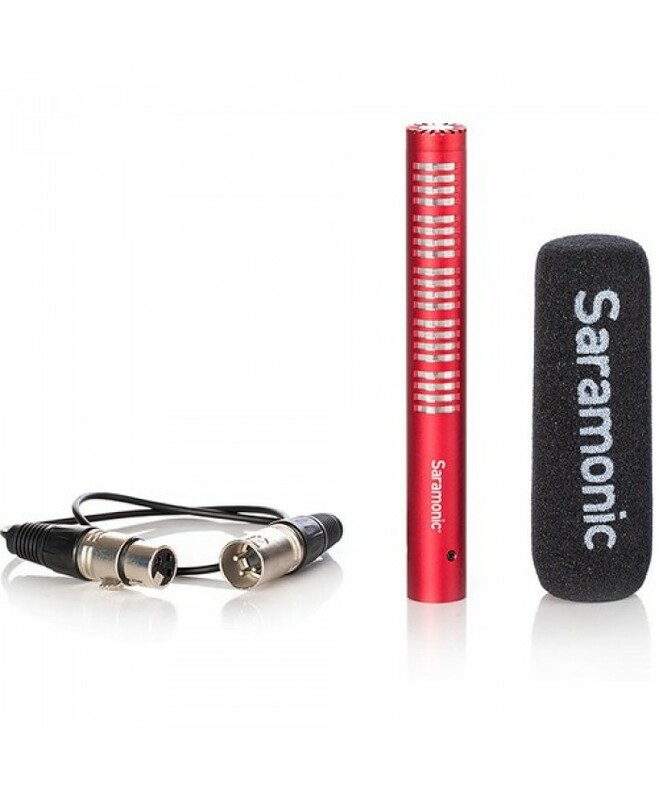 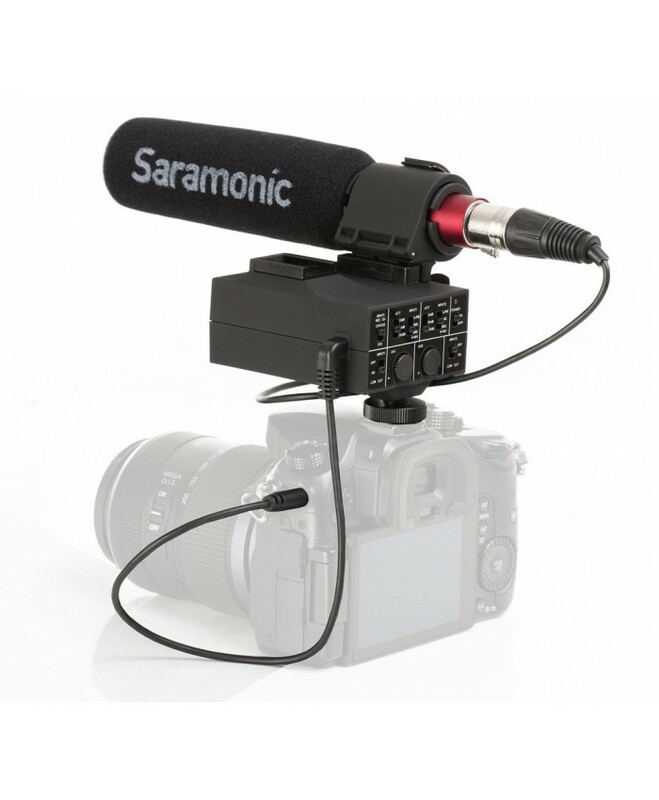 The Saramonic LC-C35-Di is a solution to connector a standard.. 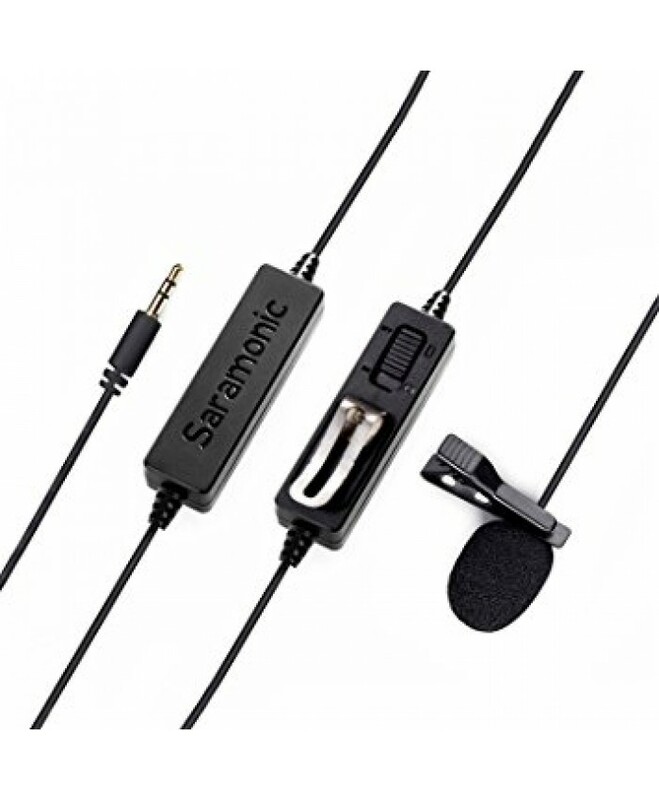 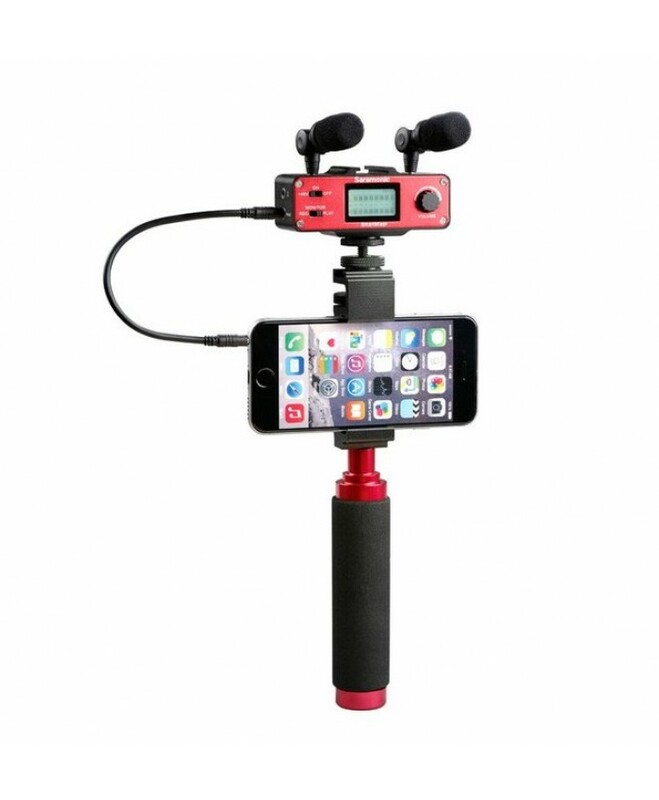 Input Two 1/8" (3.5 mm) st..
iPhone, iPad, iPod & Android Devices	48V Phantom Power	Combo XLR-1/4" Input	Headphone Monitorin..
Portable Microphone/Guitar Interface	2 Simultaneous Input Channels	XLR, 1/4", and 3.5mm Connection .. 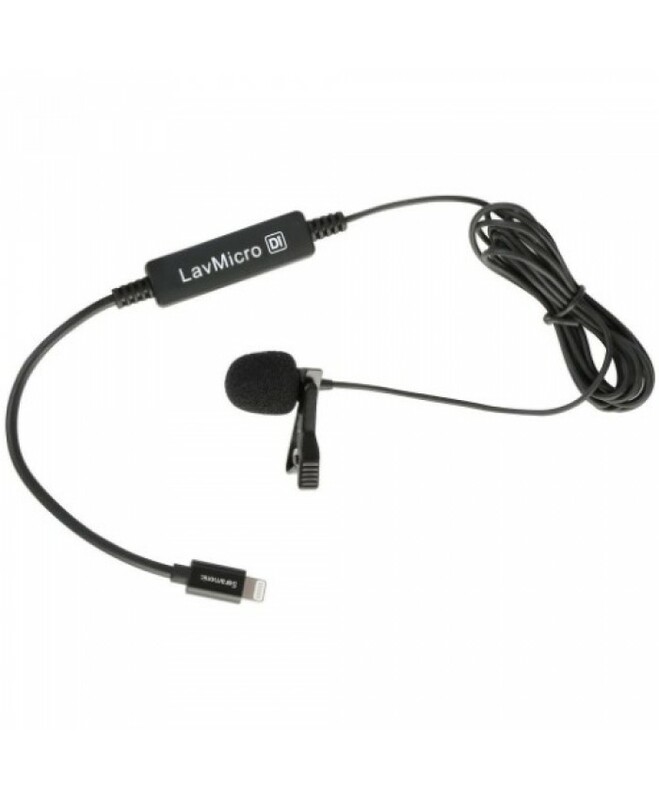 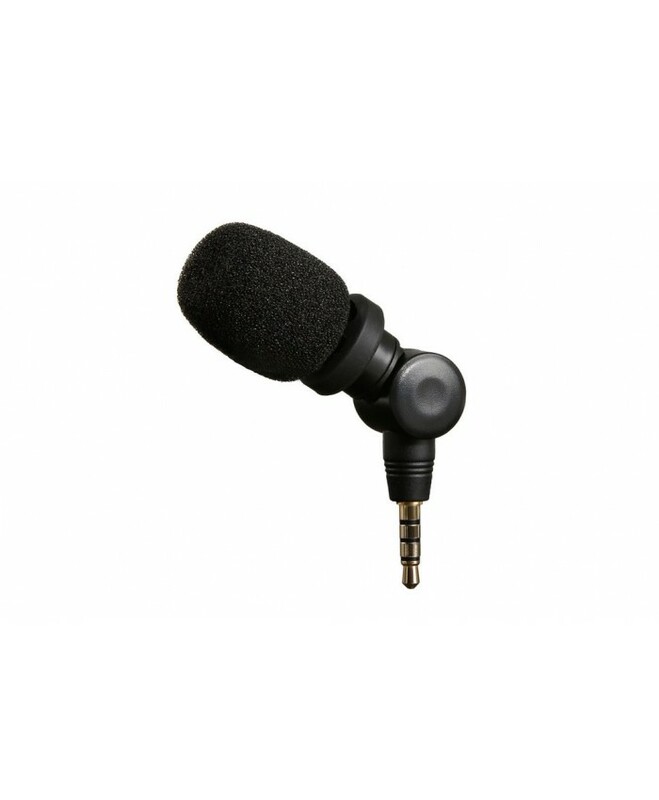 Features Inputs: One stereo 1/8 (3.5 mm) Mini-Jack Input Two mo.. 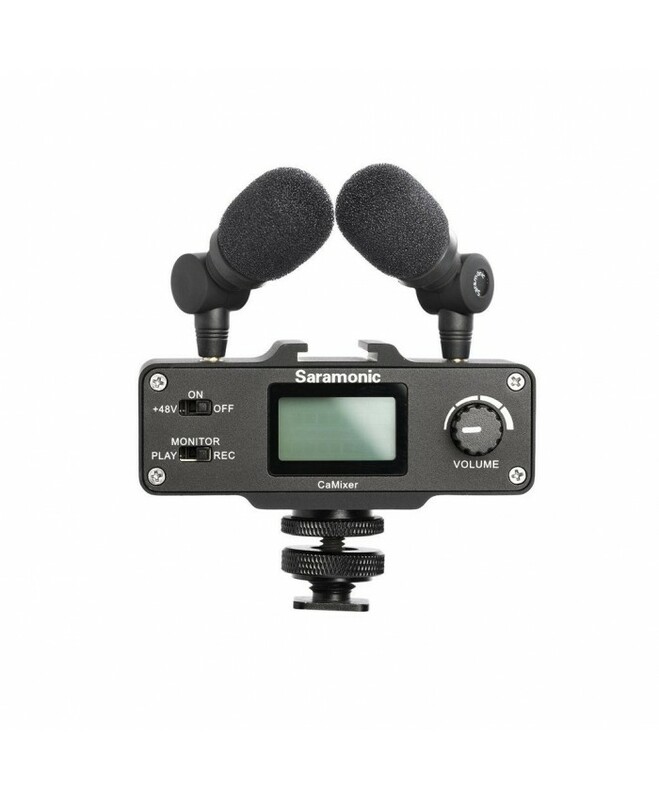 Features Inputs: Two balanced XLR inputs One monitor input jack..
For SR-WM4C Wireless Systems Four Switchable Channels VHF Frequency Band 200' Operating R..
For DSLR Cameras and Camcorder	Low-Cut Filter	1/8" Headphone Output	+10 dB Audio Gain Switch	On/Off..
For Broadcast, Film, and ENG	Cardioi..